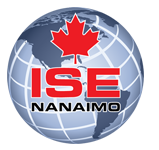 Welcome to the Nanaimo-Ladysmith International Student Education (ISE Nanaimo) Program. For more than a decade high school students from many nations of the world have been studying in Nanaimo to take advantage of the top-quality Canadian education that we offer. Some students come to improve their English skills and to learn about Canadian culture while advancing their knowledge in mathematics, sciences, social studies. Others come to graduate with a British Columbia High School Diploma in order to advance to university. Ensure you stay up to date on the latest with the International Education Secondary Program. View our Secondary School Calendar.